We on the Ascension path are fortunate to experience the “death of the old self” and the “rebirth of the new” while we are still on this Earth. This is a true gift! If you feel stuck and low, know that you are simply in one particular phase of this process, the rebirth and the inner feelings of light and expansion are eventually to follow. The Twin Flame journey is full of seeming death, followed by glorious new births as we let go of old negative patterns and attachments and welcome in the new. In order to join together in unconditional love, to be ready for the final merging of the Twin Souls, we must let go of any old outdated permutations of what we believed Love to be. If something is ending … know that there’s a new beginning coming. Often, the Universe asks us to go over old ground to give us a chance to close certain outdated chapters of our lives once and for all, learn the lessons so we can move forward into new, positive and uncharted territory. Even within the Twin Flame connection itself. Keep in mind that sometimes feeling “stuck” is actually a chance to take a second look at all things related to communication, thinking and ideas. Consider it the universe giving you a chance to make up your mind one last time before you get going again on decisions and plans. For an energy transformation session on clearing old blocks and energies, and planting new seeds of manifestation for your ideal journey – go here. As brave volunteer souls, you and your Twin Flame chose to come to earth, to separate into different bodies and places in order to explore, learn and journey back to love together. Much of what’s happened in your life so far has been scripted in by you and your Twin Flame, to help you with this. To show you how and why humanity have ended up feeling so separated from each other, and so unloved. When you dwell in the higher vibrations of joy, love, harmony and peace, you will begin to attract circumstances that mirror these. Tear down your illusions of smallness, and your subconscious mind will allow you to move past your comfort zone – because every fiber of your being will be set to create expansion and newness, not just the same over and over. Read more about the Twin Flame Mission of Love here. Many Twin Flames ask me for advice based on what I’d call the “Twin Flame Rules” – Running/Chasing, Separation, Enforced Surrender… Unfortunately, reading the most common info about Twin Flames can land you in trouble. Because it’s based on a “one size fits all” perspective. When the truth is that your journey is unique. We all chose different avenues back to love. We all designed our journeys in different ways. The one common element in all Twin Flame journeys, is energy. When your energies are aligned, you are open to love and can unite in love. When your energies are low and in disharmony, you attract outside challenges. to tell your grandkids a story about your life or about being a Twin Flame, what would you want the story to be? Remember that we always have Free Will on our Journey – no one will release things for us, so my best advice is to learn how to clear negativity using energy clearing tools; this will really help you eradicate the blocks instead of trying to figure them out in recurring cycles of difficulty, Running or Separation. back to harmony with your Twin that way you’re meant to. We’re here to assist humanity’s collective evolution, not to suffer. Read more here about the Most Damaging Myths on the Twin Flame Journey. If you feel really bad, it’s likely that your soul is pushing to get you to the next finish line so you can be more securely anchored into the light and on your way to Union in harmony with your Twin. It means that your soul knows that if you get certain things cleared out of the way now, you’ll be lifted up into a higher plateau and that means you won’t go back to the lowest lows of the old reality again – in other words, you’ll be lifted up above negative energy to a certain extent. To step out of the cycle of recurring negativity, get to grips with clearing the blocks with ease – using instant energy healing methods that recalibrate your frequency, transforming your path from the inside out. Go here to discover more. Many people are questioning their lives right now, finding it tricky to see a clear path to their desires – things feel “cloudy” but spirit shows me that there is a very particular purpose to this. It is to encourage us to stop relying on our logical minds only. If we listen to our bodies and emotions, and use feeling and intuition and energy sense instead of just our minds, we will find a crystal clear “vision” of the path ahead and what next steps to take. And in order to ascend into higher vibrational living (joy, love, happiness) of “5D”, we are being told that it’s necessary to open up to other ways of “thinking”. Feel your way into the future instead of solely thinking. What does a certain choice feel like? Will it take you further away from love or closer to it? These are the “new” questions to ask… And begin to sense the answers, feel them. Is your guidance trying to communicate with you? Discover here how to interpret spiritual and intuitive insights and wisdom on the Twin Flame path. Learn to enjoy the feeling of having your desire now, even before it’s shown up in the physical. Tune into this feeling often, and these energies will magnetically draw it to you and you to it because you’re now in alignment with it. To avoid being dragged down into the human illusion of powerlessness, it’s essential to uproot and clear out any limiting energies or beliefs that have us in a place of feeling unlucky or unloved by the universe, or like nothing good ever happens to us or “miracles” don’t exist. Because these very beliefs keep us locked into that experience. Step into your power as an infinite being – you have the ability to experience your desires. Write out your ideal situation, in detail – smells, sounds, feelings, sights, movements – and begin to immerse yourself in positive creation. Creative Visualization is an amazing, scientifically proven method for enlisting your unconscious mind and energy’s true power and making your dreams happen. I’ve created a specifically designed creative visualization meditation for Twin Flames – have a look here for more. transmutational energy. On the energetic planes, Love transmutes Fear. But remember that sending Love means getting into a high vibration and then sending this high vibration energy out. 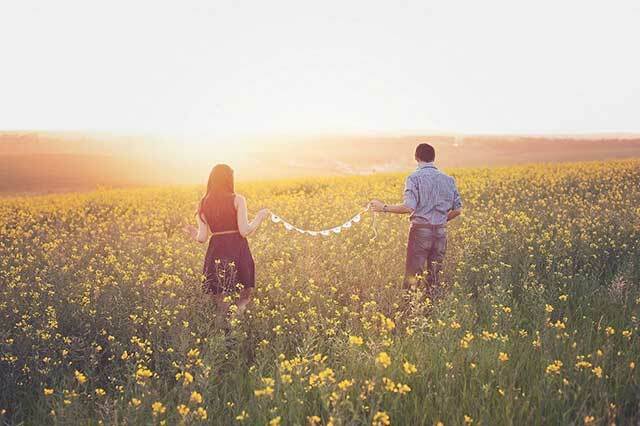 Love feels light and effervescent, not heavy or sad. If you’re feeling sadness or pity, you’re not sending Love. If so, take a step back, regroup and try again. 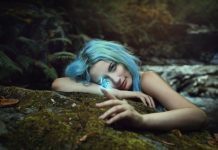 To discover the true energy vibration you’re in right now – and whether you’re really aligned with and open to Twin Flame Reunion – have a look here. If you’re not together with your Twin Flame right now physically, you can use the time apart to learn more about yourself and what this experience might be meant to teach you – this will help you move forward faster than any anger or frustration ever will. Remember that as souls you are perfect for your Twin Flame and they are perfectfor you. The problems arise from the human “baggage”. The more you can return to your own essence – your talents, passions, likes and loves – the more you activate and resonate with that Soul Song you share. Making you magnetic to your Twin Flame. Try to allow yourself to open up a little bit more to the new and positive each day. Energies are always fluctuating, so just do the best with what you’ve got from day to day and don’t lose hope. Most of all, learn to trust that you have everything it takes. You didn’t come to earth to be stuck in frustration. Spend a few hours a week doing something you love just because, or give yourself a small gift each week. It doesn’t have to be expensive, the main thing is to show yourself some care and love independently of how anyone else is behaving. Ultimately, your Twin Flame journey starts and ends with you – your relationship with yourself is the blueprint for love that all other relationships relate to. So make sure you’re as good to yourself as you want others to be to you. Remember nothing is impossible on this path. Don’t down-prioritize your dreams. And don’t believe anyone who says that the Twin Flame journey has to be hard or true love impossible. Want more? 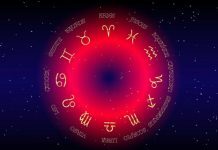 For my step-by-step “roadmap” to Twin Flame Union, created after my Twin and I reached Union just 18 months of our first encounter – have a look at the Vibrational Alignment Program for Twin Flames. And, read here about other Twins’ amazing experiences with the program! 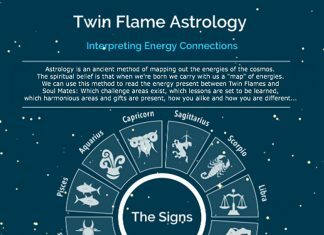 Alternatively you can try our Free Help Kit for Twin Flames and get your Free 25 Page 2017 Forecast sent directly to your inbox!